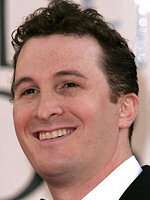 We would like to apologize to Mr. Aronofsky. We know we are not responsible for Rachel Weisz leaving him, but... we can't help but feel a little bit guilty. 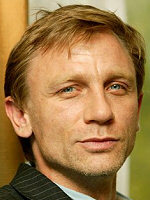 You see, about two years ago we profiled Daniel Craig. No, he's not Jewish, not even close, but he played a lot of meaty Jewish roles, so what harm can come of that, right? So, attractive female Jewish readers of JONJ [...], here is your mission: fly to England. Pry Mr. Craig from whatever supermodel he's currently dating. Then marry him, make sure that he converts to Judaism, and have a lot of blond, steely-eyed, Jewish babies. Now, it's unlikely that Miss Weisz reads our website (although if she does... Hi Rachel! We loved you in "The Brothers Bloom"!). So we don't think that she got the idea from us. At least, we hope she didn't. For her sake. And ours. We just didn't think that this little joke will turn out to be true. Will hurt a fellow Jew. So, attractive female Jewish (and even goyishe) readers of JONJ, here's your mission: give Mr. Aronofsky a shoulder to cry on. Shower him with love. You can do much worse, you know. He's an Oscar-nominated director. And somewhat handsome. And you're not getting any younger. And a little heavier in the waistline. Sorry, we had to say it.